Digital wallet services are flooding the market, despite the many barriers between them and consumers pockets. Apparently, Google is trying to alleviate some of this existing friction with a tangible solution. 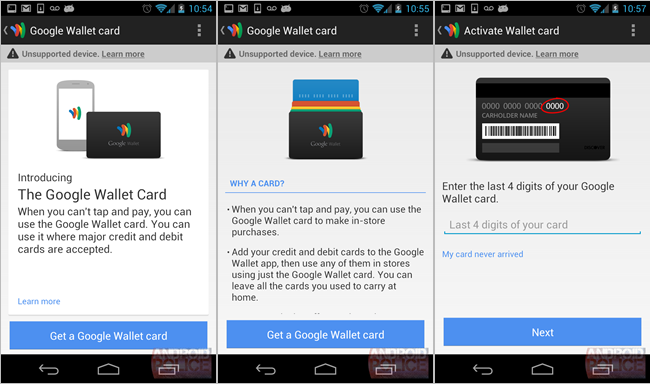 Android Police received an anonymous tip and series of screenshots showing off a Google Wallet app promoting a physical Google Wallet card. According to the screenshots, the Google Wallet Card will be a physical credit card used in lieu of the multiple credit cards you have in your physical wallet. 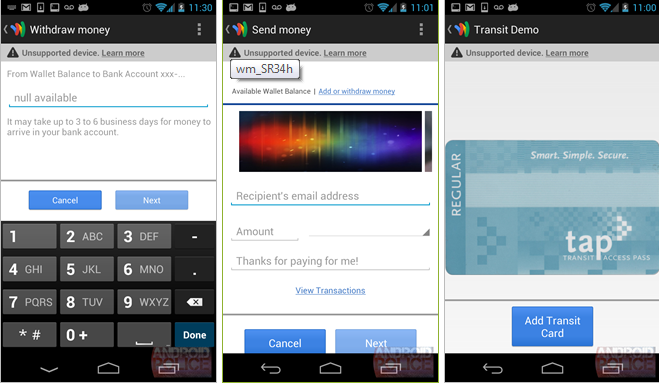 The screenshots might have been taken by someone who had early access to an updated Google Wallet app, and it shows off a leaked informational page explaining the advantages of a Google Wallet Card. The cards are likely intended for brick-and-mortar shops that haven’t adopted NFC reading terminals or even iPad-based solutions. The card is supposed to bridge the gap between the new and old payment systems we’re stuck in. On one hand it’s a credit card like any other, but it digitally stores all of your existing cards so you can leave the multiple pieces of plastic at home. Users will defer to the Google Wallet app to indicate which credit card stored on the physical Google Wallet Card they want to swipe. There are a few advantages to this system. For instance, if you lose your wallet, you’re not forced to cancel all your cards. In fact, “you only need to cancel your Google Wallet Card (not every card in your wallet).” You’ll also probably be able to request a new Google Card with the press of a button in the Google Wallet app. Some bonus security measures appear to include 24/7 fraud monitoring, and the ability to remotely disable your card at any time. The second part of the leak introduces withdrawing money or sending money to a “Wallet Balance,” which seems to be a debt-like account where you can store, send, or spend money. It may suggest being able to soon use the Google Wallet Card as a debit card itself, independent of the stored credit cards. Finally, the screen shot shows evidence of the ability to add a transit card, like a New York City Metro Card for instance. Of course until Google gets back to us we’re merely speculating, but the screenshots are incredibly telling: Google is aggressively entering this market and competing with the likes of Square and even more so Apple Passbook.